A never-before-seen autopsy report has revealed that The Notorious B.I.G. was shot in the “chest, shoulder, leg, forearm and scrotum” on the night of his murder. According to the document obtained by TMZ, The Notorious B.I.G., whose real name was Christopher Wallace, was shot four times during the drive-by which took place on Wilshire Boulevard in Los Angeles in 1997. The hip-hop artist, who was listed on the autopsy as 6ft 1in tall and weighing 395 lbs, had been sitting in the passenger seat of a Chevy Suburban when the shooting occurred. However, while the rapper was hit four times, three of the shots proved not to be fatal. Christopher Wallace was first shot in the left forearm, with the bullet traveling down to his wrist, before the second shot struck him in the back – narrowly missing his vital organs before exiting through his left shoulder. It was the fourth shot which proved fatal, as it hit Christopher Wallace’s heart, liver, colon and part of his left lung when it entered through his right hip, before settling around his left shoulder. 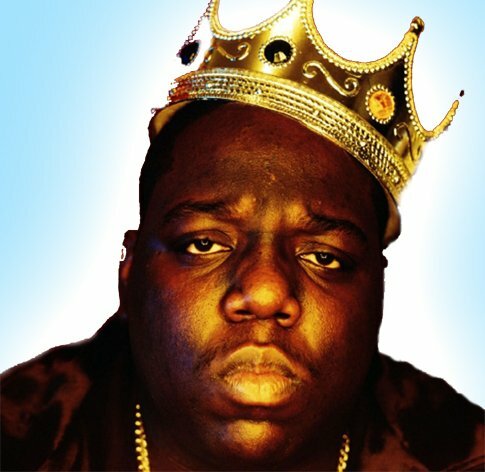 In the years since The Notorious B.I.G.’s murder, a number of theories have emerged, including the suspicion that police officers were involved. However, former Los Angeles police chief Bernard Parks, who was in charge of the force at the time of the shooting, called claims of a cover-up “absurd”. Nobody was ever charged in connection with the death, but it was widely blamed on a rap war between the East and West Coast. Six months before the shooting, West Coast rapper Tupac Shakur was killed by a gunman in Las Vegas in another murder that has never been solved. Detectives have investigated claims that the two shootings could have been linked. Raised in Brooklyn, Christopher Wallace started selling drugs at the age of 12 and served nine months in prison before going on to sell more than seven million records.